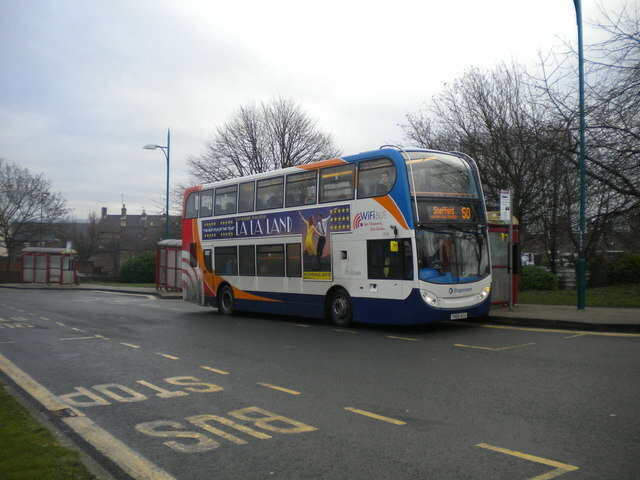 Stagecoach Chesterfield 15696, a Scania N230/Alexander Dennis Enviro 400, pauses in Eckington's small bus station on its way from Chesterfield to Sheffield. © Copyright Richard Vince and licensed for reuse under this Creative Commons Licence. This page has been viewed about 15 times.